Washington State has made trauma-informed instruction a priority. The Office of Superintendent of Public Instruction (OSPI) has a new online training program to equip school staff with Social Emotional Learning (SEL) techniques and tools. Adverse Childhood Experiences (ACEs) make children much more likely to struggle with troubling behaviors and school suspensions. Understanding trauma and addressing it with your child’s school can help improve outcomes. A trauma-informed teacher establishes specific methods for helping children understand their emotions and identify what’s happening and what to do next. Data indicate that restorative practices work. The 2016 Mental Health Report from the Child Mind Institute shows that proactively teaching “restorative discipline” reduced school suspensions by nearly 50 percent. PAVE published Part 1 of this article series last fall, The Importance of Compassionate-Schools. “Being at school in a traumatized state is like playing chess in a hurricane.” This statement, from Mount Vernon high-school teacher Kenneth Fox, provides a vivid reminder that learning in school isn’t just about academics. Effective social interactions and emotional regulation are critical life skills and are part of formal learning in today’s schools. OSPI has been developing this program since the 2015 Washington State Legislature directed OSPI to convene an SEL Benchmarks workgroup. The full report, along with notes from previous meetings are available on the SEL Benchmarks Workgroup Website. Last year’s legislature followed up by directing OSPI to create the training modules, and work is ongoing to develop a model of best practices and report on progress by June 30, 2019. The movement toward Social Emotional Learning (SEL) has grown from knowledge that trauma profoundly impacts educational outcomes. In the late 1990s, the Centers for Disease Control and Prevention released its first report about Adverse Childhood Experiences (ACEs). Dr. Vincent Felitti, then the CDC’s chief of preventive medicine, boldly proclaimed childhood trauma a national health crisis. The report led to development of an ACEs survey, which scores a person’s likelihood of suffering lifelong physical and mental health impairments resulting from trauma. An ACEs score of 4, the study found, makes a child 32 times more likely to have behavior problems at school. The data inspired researchers and educators to seek new ways to help children cope so they can manage themselves at school—and in life. A variety of training programs have become available, and a new conversation has begun about how schools can help children build resiliency. 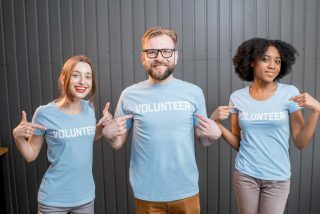 Generally, a trauma-informed teacher or school establishes specific instructional techniques to help children understand their emotions and identify what’s happening and what to do next. Schoolwide programs are becoming more common, and special education students may have specific Social Emotional Learning (SEL) goals within the Individualized Education Program (IEP). For children who need extra support in this area, a Functional Behavior Assessment (FBA) can provide data for generating a Behavior Intervention Plan (BIP). The Parent Center Hub provides detailed information on this process. Hold up your hand. The base of your open palm represents the brain stem, where basic functions like digestion and breathing are regulated. Cross your thumb over your palm. This represents the central brain (amygdala), where emotions are processed. Fold your four fingers across your thumb. They represent your frontal cortex, where problem-solving and learning happen. Imagine something emotional triggers you, and lift your fingers. When you “flip your lid,” emotions rule. Problem behaviors become probable as you try to cope with fight/flight instincts. You won’t make much sense until regulation is restored—and your fingers can fold over again. Like similar programs, Sound Discipline describes “problem” behaviors as coping mechanisms. Acting out is a child’s attempt to manage stress or confusing emotions, and stern punishments can re-ignite the trauma, making the behavior worse instead of better. The data clearly indicate that educational outcomes improve dramatically when students can manage themselves socially and emotionally. A critical measure of the impact is a reduction in suspensions and expulsions. The 2016 Children’s Mental Health Report from the Child Mind Institute shows that proactively teaching “restorative discipline” reduced school suspensions by nearly 50 percent. Ask teachers and district officials to describe how social and emotional learning are integrated into general and individualized programming. Ask whether the school is using restorative methods to help children learn from their mistakes. OSPI has introduced a five-segment training program for school staff focused on Social-Emotional Learning. This program is designed to help school staff understand their roles in promoting students’ self-awareness, self-management, social-awareness, relationships, and responsible decision-making. This program encourages staff to use trouble moments as opportunities to understand unmet needs – meeting these moments with compassion helps children learn better in all areas. There are many benefits to students having high social-emotional scores – stay in school, less in-school suspension, and better math & reading scores. You can bring this information into meetings with school staff and use it to help design creative behavior supports within your child’s Individualized Education Program (IEP). Educators and communities are starting a new conversation about what schools need to teach when children are stressed out and struggling. Self-awareness, emotional management, goal-setting, responsible decision making and relationship skills are taking their place alongside academic subjects. These life skills are part of a growing area of education called Social Emotional Learning (SEL). In September, Washington’s Office of Superintendent for Public Instruction (OSPI) introduces a five-segment training program for school staff. The Social-Emotional Learning Module was authorized by Senate Bill 6620 during the 2016 legislative session: “In order to foster a school climate that promotes safety and security, school district staff should receive proper training in developing students’ social and emotional skills,” the bill states. The modules are intended for all school staff—from teachers and principals to bus drivers and lunch servers—to understand their roles in promoting students’ self-awareness, self-management, social-awareness, relationships, and responsible decision-making. The new training module is an outgrowth of OSPI’s Compassionate Schools Initiative, which provides training, guidance, referral, and technical assistance to schools wishing to adopt a Compassionate Schools approach. Available online are a power point presentation and a free e-book called “The Heart of Learning and Teaching: Compassion, Resiliency, and Academic Success” (link below). The handbook, first published in 2009, was developed through a collaboration with university and public educators working with state officials in response to a growing body of knowledge about Adverse Childhood Experiences (ACEs) and the effects of childhood trauma on learning. An important component of SEL is the recognition that problem behaviors offer critical clues about a child’s unmet needs or undeveloped social and emotional skills. These behaviors can be especially pronounced in children with developmental delays, emotional disturbances or other disabilities that qualify them for special education. By using troubling moments as teachable moments and prioritizing compassion over punishment, many schools are finding that children learn better in all areas—including academics. New evidence clearly shows that when children learn to problem-solve their way out of trouble with socially competent strategies and self-regulation techniques, classrooms operate more effectively and everybody benefits. For its 2016 Mental Health Report, the Child Mind Institute analyzed data from more than 200 studies. At schools with specific social emotional learning programs, students were 22 percent more likely to demonstrate social emotional competence. In those schools, measures of emotional distress were lower and grades were higher. Are more than twice as likely to stay in school. Without these skills, children are struggling. Included in the Child Mind Institute’s report are a variety of statistical data that show students in special education are at the greatest risk. For example, states with above-average rates of children with attention deficit and specific learning disabilities report school suspension rates that are twice the national average. These same challenges are linked to higher drop-out rates and eventually to higher rates of incarceration and disengagement from work and community. 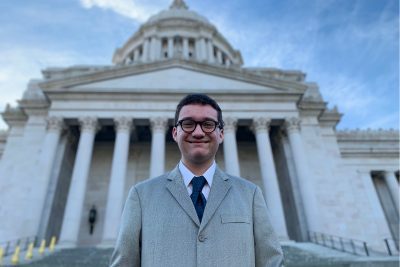 The dropout rate for all students is seven percent, while the rate for students served under the Individuals with Disabilities Education Act (IDEA) is more than 20 percent. For students whose qualifying disability is Emotional Disturbance, the rate climbs to almost 40 percent. That number is especially concerning because data indicate that high-school dropouts are 63 times more likely to go to jail than college graduates. Even so, childhood behaviors don’t have to predict a lifetime of distress and disengagement. One study reviewed in the Child Mind Institute’s report shows that 95 percent of out-of-school suspensions are for nonviolent, minor disruptions, such as tardiness or disrespect. Clearly, efforts to teach social skills and emotional regulation can have a critical impact. Compassion: a feeling of deep empathy and respect and a strong desire to actively help someone stricken by misfortune. Trauma: a state of distress caused by the inability to respond in a healthy way to acute or chronic stress. Resiliency: the ability to withstand and rebound from adversity. Compassionate School: a place where staff and students are aware of the challenges that others face and respond with supports that remove barriers to learning. School-Community Partnership: a relationship that supports a shared goal of providing resources through responsibility and collaboration. Other principles to research and consider include: restorative discipline, positive behavior supports, collaborative repair, misbehavior versus stress behavior, emotional vocabulary, replacement skills, reframing and social competence. 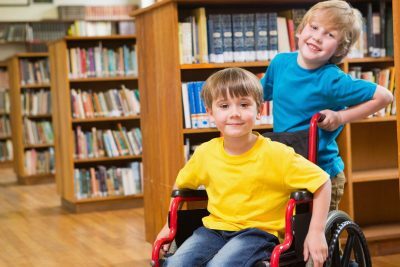 An evaluation is the process used to determine if a student is eligible for special education services and in what areas services need to be provided. Both the federal regulations implementing IDEA 2004 and the state’s Washington Administrative Code 392-172A (WAC), define how evaluations are conducted by the school district and who is involved in the process. A parent of the child, a state or local education agency, or other State agency can request the evaluation of a student, if there is concern about how the student learns. The concern could be about academic areas – reading, math or written language. Other areas that can also be evaluated are health, vision, hearing, social and emotional status, general intelligence (I.Q. ), communication and motor abilities. The school district must evaluate the student in all areas of suspected disability. How can I refer my child for an evaluation? Put the request for an evaluation in writing and send it by certified mail to the district or hand carry it and have your copy signed and dated by the district representative. This will give you a receipt showing who signed and the date it was received. It provides documentation for the starting date of the timelines the district must follow for the evaluation. Remember, asking for and giving written consent for an evaluation does not mean you are giving consent for your student to be placed in a special education program. It means you and the team need more information to make good decisions about the student’s program, and special education may be part of it. After the referral is made, then what? complete the evaluation within an additional 35 school days. How often can my child be re-evaluated? The district decides that because of academic improvement the student warrants a re-evaluation. The student’s parent(s) or teacher requests it. At least every three years unless the parent(s) and district agree it is not necessary. Must the district notify me and get my written consent before re-evaluations can occur? Yes. The district must obtain the parent’s written consent before re-evaluating the student. What exactly is the procedure used to evaluate my child? evaluate in all areas of suspected disability. Will the district pay for a medical evaluation? If necessary, as part of the assessment, the district may obtain a medical statement or assessment to see if there may be other factors affecting the child’s educational performance. Will the district consider an outside evaluation that we have paid for? Yes. When the team is reviewing existing records the information you provide must be considered in the decision to do either an initial evaluation or a re-evaluation. Does the district have to do a re-evaluation before removing my child from special education? YES!!!!!! Before a student can be removed from special education a complete re-evaluation must occur. The only exceptions are when a child is graduating from high school with a regular education diploma or if the student has reached age 21 by August 31 and is no longer eligible for special education services. What is an evaluation report and can I have a copy? documentation of the results of the individual assessments or observations by individuals contributing to the report. Remember, the evaluation report is the foundation for the Individualized Education Program (IEP). What are the procedures for evaluating Specific Learning Disabilities (SLD)? In addition to the requirements for determining whether a student qualifies for special education services, there are additional procedures for identifying Specific Learning Disabilities. Each district may develop procedures for identifying students with SLD which may include the use of a severe discrepancy between intellectual ability and achievement; or a process based on the student’s response to scientific, research-based intervention; or a combination of both. At least one individual qualified to conduct individual diagnostic examinations of students, such as school psychologist, speech language pathologist or remedial reading teacher. What if I disagree with the results or recommendations of the evaluation? public or private expense, must be considered by the district in making decisions about placement and/or provision of special education and related services. 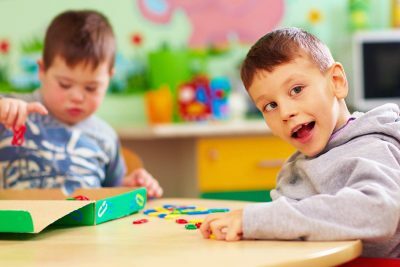 What if my child does not qualify for special education services? If your child is not eligible for special education services (does not need specially designed instruction), he/she may qualify for accommodations under Section 504 of the Rehabilitation Act of 1973. Section 504 is a non-discrimination law that applies to any district/agency receiving federal funds from the U.S. Department of Education. This law defines disability in more general terms than WAC or IDEA. If, for instance, a child with a diagnosed disability does not qualify for services under IDEA but is still struggling in school, Section 504 could be used to provide accommodations, related services, and modifications for the child. How does my child go about solving problems at home and at school? What has my child learned so far? What are the things my child can do? How and when does my child need assistance? What kind of assistance is most effective for my child? 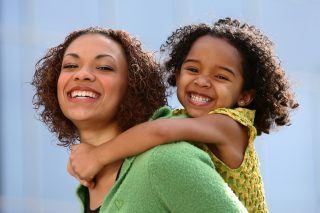 What are my child’s personality traits? How does my child get along with adults/ peers? How does my child feel about him/herself? What causes my child anxiety? What makes my child comfortable? What are my child’s interests? Why were those specific tests chosen for my child? What were they supposed to measure? Do these tests evaluate strengths as well as weaknesses? Are there any biases in the tests? What progress has my child made? What are the areas in which my child made progress? What are the areas in which my child has not made progress or has regressed? On what is this information based (such as classroom observation, in-class testing, standardized testing, etc.)? May I have a copy of the results of the evaluation, the records of observations, and other documentation? I am requesting a full and individual evaluation for my son/daughter (Name, Date of Birth) for assessment as a special education student as stipulated in IDEA 300.15 and WAC 392-172A-01070 and under Section 504. I understand that the evaluation is to be in all areas of suspected disability, and that the school district is to provide this evaluation at no charge to me. My reasons for requesting this procedure are: ____________________________________________________. I understand that I am an equal member of the IEP team, and will be involved in any meetings regarding the identification, evaluation, provision of services, placement or decisions regarding a Free Appropriate Public Education (FAPE). I would appreciate meeting with each person who will be doing the evaluation before he/she tests my child so that I might share information about (child’s name) with him/her. I will also expect a copy of the written report generated by each evaluator so that I might review it before the team meeting. I understand you must have my written permission for these tests to be administered and I will be happy to provide that upon receipt of the proper forms. I appreciate your help in this matter. If you have any questions, please call me at (telephone number).